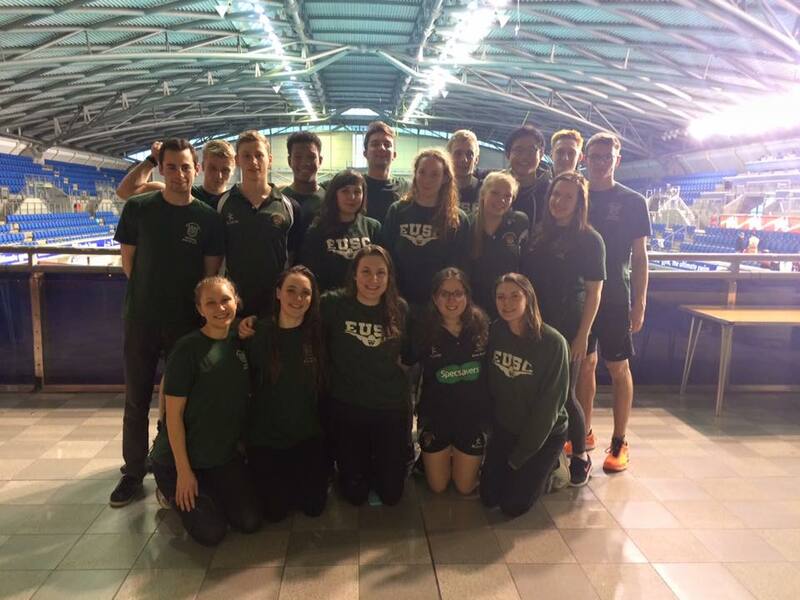 On Friday 19th February, the EUSC BUCS squad of 18 travelled to Ponds Forge, Sheffield, to compete in the Long Course National Championships. 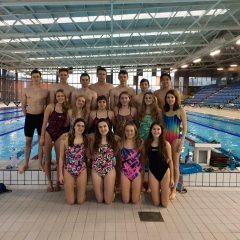 This follows weeks of specific training both in and out of the pool, including a training camp in Cardiff two weeks prior to the event. 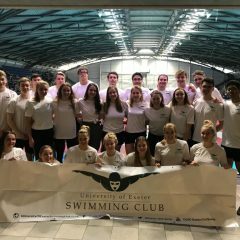 The Friday evening saw fantastic swims from both 4×100 Freestyle relay teams. The Women’s team, comprising of Lydia Smith, Anna Bedford, Hannah Pullinger and Keren Greenow, narrowly missed the chance to prove their stellar performance in a final, but swan extremely well. 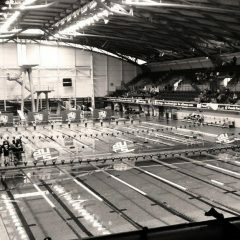 The Men’s team of Alex Allen, Alex Winter, Dom Wooldridge and Peter Lewis swam quick enough to make the final on the following day, where they out-shone their performance from the previous day. 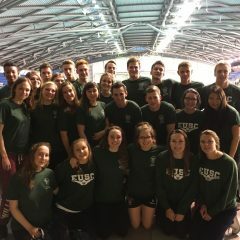 Saturday was an action packed day, with twenty-two different swims for EUSC, including a very exciting final for Dom Wooldridge. His morning swim in the 100m Butterfly saw him through to the final, which was to occur in the evening. 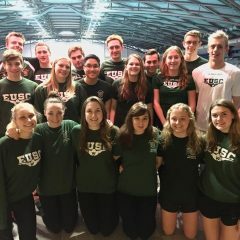 By swimming faster than his earlier race and finishing with a time of 55.50, which positioned him in third to earn a bronze medal and long awaited BUCS points for the club. Keren Greenow swam extraordinarily in her 200m Butterfly in the morning to earn a place in the final in the evening. She managed to smash the ten-year old record in both swims, and finished with an excellent time of 2.29.40. 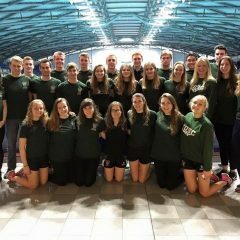 The weekend witnessed eight new club records by our swimmers. Mari Nerdum continued her success from Short Course and smashed the 50m Breastroke record, which stands from 2004. Dayna Riordan continued the breastroke success by blowing both the 100m and 200m records out of the water over the course of the weekend. The 100m Freestyle record was out-swum by Hannah Pullinger in a time of 1.02.36. The two 4×100 Medley teams broke the longstanding records in their finals to finish off a fantastic weekend.